as you move through this next chapter in your life. ​you do have a garden of inner resources to reconnect with that light. ​Together we can make that journey. "Words cannot express how grateful I am to have met and worked with you. Because of you I have let go in a profound way of something I dared not bring to my conscious thought. I bought that book we talked about. I know we will keep in touch. "Journaling helped me discover degenerative thinking patterns that I repeated over and over again, mindlessly. That's how I learned to be more in the moment, and think about what I think about. But the mind is a very clever device. It seems to feel obligated to protect me from certain lessons, even though I want to learn them. When I hit such a block, I reach out to Glenda because her guided sessions let me go deeper into my mind and find the answers. Not everyone can provide that kind of open, loving support--but Glenda does. What a partner she is! If you're willing to travel deeper, Glenda can help take you there." "Thank you again. I’m feeling more empowered. 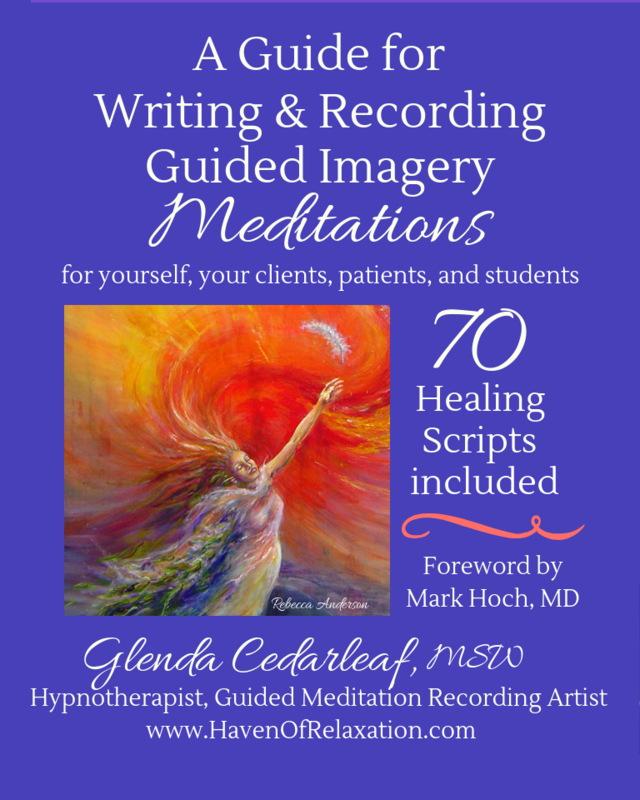 Your gift to guide out of pain with imagery is beyond this world." 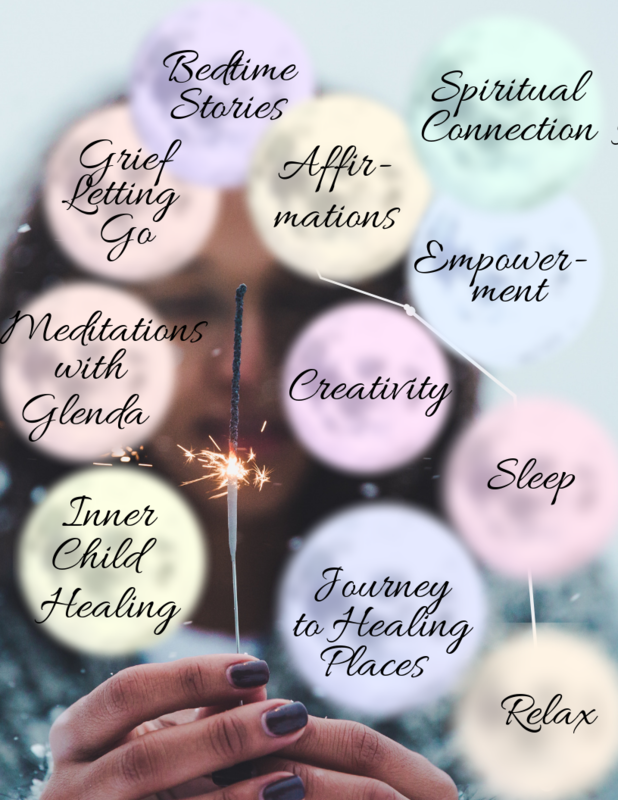 Glenda Cedarleaf is a holistic psychotherapist who provides hypnotherapy and wellness coaching: virtually as well as in New Bern, North Carolina. ​She is a trained Heart-Centered Hypnotherapist ® with over 35 years in the field of healing arts. She is a 1980 graduate of UNC Chapel Hill School of Social Work and has been a provider in two integrative healing centers. For a free 20 minute phone consult, please complete this contact form. "I have benefitted greatly from my sessions with you. It has sent me down a path that has really taught me to be more aware of my thoughts and emotions and as a result, less ruled by them. ​ I continue to be interested in exploring creativity and how/why it works. I still struggle with it at times, but I feel more equipped to handle to handle it as a result of learning Guided Imagery." Just wanted to say thank you again for all you did for me. When I connected with you I had planned my suicide. ​But now I am so happy and such amazing things are happening for me. So many doors are opening; just when I thought I was at the end of the road. The lovely journey I have been on since our last special session has led me to going back to my home country. I just have a sense that this is the right thing for me. Thank you!" ​Mindfulness, hypnotherapy, guided imagery and somatic healing are effective methods that we can utilize to help you reduce stress, develop clarity, and access a clearer more creative solution to transform self sabotaging behaviors.